Morning drive to Corbett. Check in the resort/hotel. Rest of the evening at leisure enjoying wild life movie. Dinner and overnight will be in the resort. Early morning at 6 a.m.depart for Bijrani. From here you will be provided Jeeps/Elephants for Jungle Safari inside the Corbett National Park to explore the Flora and Fauna of jungle. Breakfast will be served at Resort, after safaris by 10.30am. After Lunch in the resort proceed for a guided nature walk and temple visit. Evening enjoy bon fire, music etc. Overnight in Corbett. Morning after breakfast drive back to Delhi. Drop at the given destination in Delhi. Drive directly to Nainital. On arrival, transfer to hotel. Rest of the day free for leisure. Dinner and overnight at the hotel. After breakfast take a tour of Nainital visiting Khurpatal, Bhimtal, Naukuchiyatal and Sattal. In the evening one can go for a boat ride at Naini Lake, visit Naini Temple. Dinner and overnight at the hotel. After breakfast take an excursion to Mukteshwar-30 Kms, en-route visiting the sightseeing of Gagar, Ramgarh and Ghorakhal. Enjoy snowcapped mountain from Mukteshwar. Later in the evening return to Nainital. Rest of the day free for leisure. Dinner and overnight at the hotel. After breakfast depart for Kausani via Almora (known as Scenic View of Snow) visiting Kanchi Temple, Chitai Temple (known for justice) and Jageshwar temple - one of the 12 Jyotirlingas. In the evening arrive at the Kausani. Check in at the hotel. Dinner and overnight at the hotel. After breakfast visit the Kalika Temple, Bajinath and the Himalayas peak. Later transfer to Corbett the most famous wild life sanctuary(150 Kms/02 hours). Rest of the day free for leisure. Dinner and overnight at the hotel. Early morning enjoy jungle safari at the Corbett National Park. Return to the hotel for breakfast. In the afternoon one can again visit the National Park or rest of the day free for leisure. Dinner and overnight at the hotel. After breakfast depart for New Delhi. On arrival transfer to the desired destination in Delhi. Morning drive to Nainital. On arrival check-in at the hotel. Dinner & overnight stay in the hotel. After Breakfast, visit to Mall, Boating Club, Cable Car Ride, Thandi Sadak. Evening free for Shopping & Leisure. Overnight in the hotel. After Breakfast, depart for Corbett. On arrival check in at the Resort. Dinner & Overnight stay. After Breakfast, visit to Corbett National Park through Jeep safari, Elephant safari. Dinner & Overnight stay in the hotel. After Breakfast depart for Delhi .On arrival transfer to the required destination in Delhi. After breakfast drive to Haridwar. On arrival check in hotel. In the evening visit Ganges Ghat & see the rituals of Hindus over there. Overnight stay at hotel. After breakfast proceed to Haridwar sightseeing like Mansa Devi Temple, Bhimgoda Tank, Pawan Dham Temple, Lal Mata Temple, Parmath Ashram, Bharat Mata Temple, Saptrishi Ashram etc.Later in the afternoon departure to Rishikesh. Check in hotel.Overnight in the hotel. After breakfast enjoy the sightseeing of Rishikesh. Visit the Laxman Jhula and evening free to visit market.Later drive back to Delhi. On arrival in Jammu drive to Srinagar. On arrival transfer to hotel. Later afternoon Shikara Ride on the Dal lake, visiting floating/vegetable gardens. Overnight in the hotel. In the morning enjoy sightseeing of the Mughal Gardens, visiting Nishat Bagh built in 1632 A.D., and Shalimar Bagh built by Jehangir. Also en route visit the gardens, visit a carpet-weaving factory. Overnight stay in the Hotel. 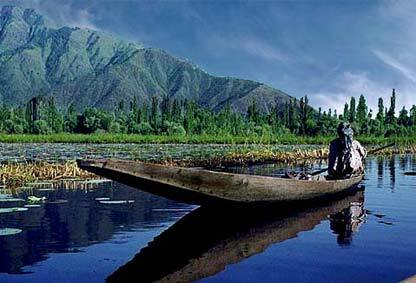 After breakfast enjoy full day trip to Gulmarg (the meadow of flowers). Gulmarg has one of the best ski slopes in the world. You can also enjoy a view of Nanga Parbat if the weather permits. The view en route from Tangmarg to the Gulmarg is fascinating. Enjoy a short trek up to Khilanmarg. Dinner and overnight stay in Hotel. Day 05: Gulmarg-Departure After breakfast, transfer to airport to board the flight to Delhi. In the morning drive to Shimla, the former summer capital of British India. On arrival transfer to hotel. Rest of the day free at leisure.Overnight in the hotel. After breakfast visit Kufri situated at an altitude of 2500 meters just an hour's drive from Shimla. Later in the afternoon take a walking tour of Shimla, visit the Jakoo hills that offer a panoramic view of the town, visit the Vice Regal Lodge and walk down the Mall Road. Overnight in the hotel. After breakfast drive to Manali, a picture-perfect hill resort. On arrival check in at the hotel. Rest of the day free at leisure. Overnight in the hotel. After breakfast enjoy the city of Manali with the walking tour, visiting the 450 years old temple dedicated to Hadimba Devi. You can also visit the Tibetan Monastery and the Handicraft Center. The rest of the day at leisure or walk to the nearby picturesque Village of Vashisht known for its hot sulphur springs. Overnight in the hotel. After breakfast visit the Solang Valley and the not to be missed Rohtang Pass, 51 km from Manali at an altitude of 3978 meters (subject to weather conditions). Overnight in the hotel. After breakfast drive to Chandigarh, the beautiful capital of Punjab and Haryana. On arrival check-in at the hotel. Enjoy sightseeing of the city visiting Rock Garden, Rose Garden, Sukhna Lake, and hi-tech shopping centers in sector 17 and sector 18. Overnight in the hotel. After breakfast drive to Delhi. On arrival transfer to desired destination in Delhi. Drive to Shimla enroute visit famous Pinjore Garden. On arrival check in to the hotel and in the evening visit Mall road and walk around overnight at the hotel. Enjoy full day excursion to Kufri and Chail with the natural beauty of the snow ladden mountains. Overnight in the hotel. Full day free to relax. Overnight at the hotel. Drive to Delhi (370 kms) enroute visit Chandigarh (120 kms / 3 hours), visit The Rock Garden, Rose Garden and the Sukhna Lake have boat ride there and after lunch drive to Delhi (260 kms/ 5 hours). On arrival in Delhi transfer to your desired destination in Delhi..